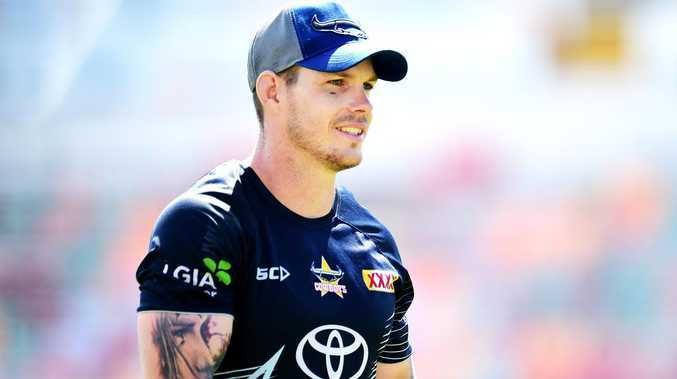 COWBOYS legend Johnathan Thurston has backed Ben Hampton to claim the vacant No. 1 jersey in the wake of Ben Barba's sacking as former fullback Lachlan Coote admits he's happy he got out of Townsville. 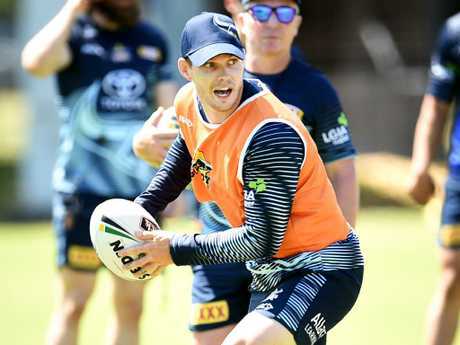 Star recruit Barba was released by the Cowboys without playing a game last Friday over domestic violence allegations which leaves a massive hole in their already new-look backline. Coach Paul Green does have a few options to fill the custodian role without going to the open marker given halves Michael Morgan and Te Maire Martin both spent time at the back last season. Hampton has been a jack of all trades coming off the bench for the Cowboys, but he played seven games at fullback in 2018 and Thurston felt he had all the skills to make the position his own. Ben Hampton. NRL; North Queensland Cowboys pre-season training at Townsville Sports Reserve. "He's a good kid, always willing to learn and ask a lot of questions, and very respectful and you know a really good bloke, so that's an option there," Thurston told Wide World of Sports. "He's got speed to burn and he's pretty silky with the ball in hand where he can sum plays up and execute the winning tries and the tries that you need. "The fullback role has changed quite a lot over the last 10 years and they're pretty much another half. "They're the ones that are throwing a lot of try assists these days so they need to be able to have a good football brain." Meanwhile, Coote has spoken of his fresh start with St Helens in the English Super League after a frustrating final campaign with the Cowboys. Coote spent five seasons in Townsville and was part of the club's maiden premiership success in 2015, but injuries limited his impact last season while he also fell out of favour with Green. 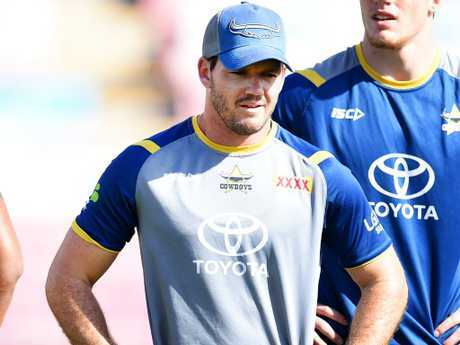 The 28-year-old played just nine NRL games in 2018 and was not re-signed by the Cowboys before he effectively made a straight swap with Barba when he signed with St Helens. Coote is off to a strong start in England, making 83 metres and one tackle busts in his side's 22-12 opening round win over reigning premiers Wigan, and he said he was happy to have made the move. "It was disappointing with the year I had, then not seeing eye-to-eye with the coach," Coote told AAP. "And then with the injuries … so it's been good to come up over here and freshen up with a new start. I was happy to get out of there."